Suitably Stamped: A Tuscan Vineyard - A girl can dream....right? A Tuscan Vineyard - A girl can dream....right? I've always looked at photos of Tuscany and dreamed of walking through fields of sunflowers and sipping on some delicious wine. It just sounds magical to me. 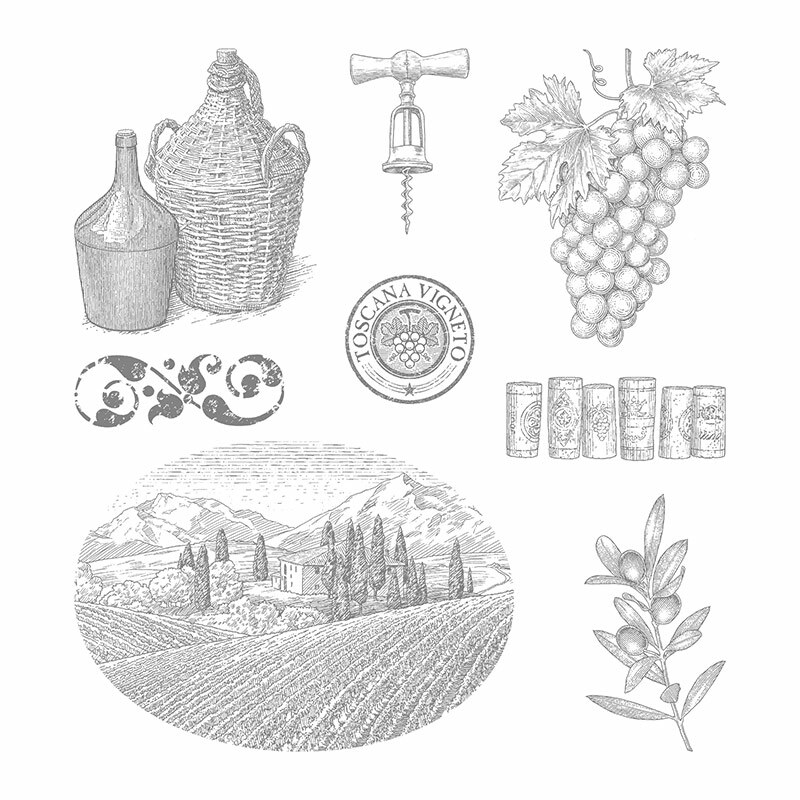 I was excited to see the NEW "Tuscan Vineyard" stamp set in the new catalog. The images are beautiful and the possibilities are endless. 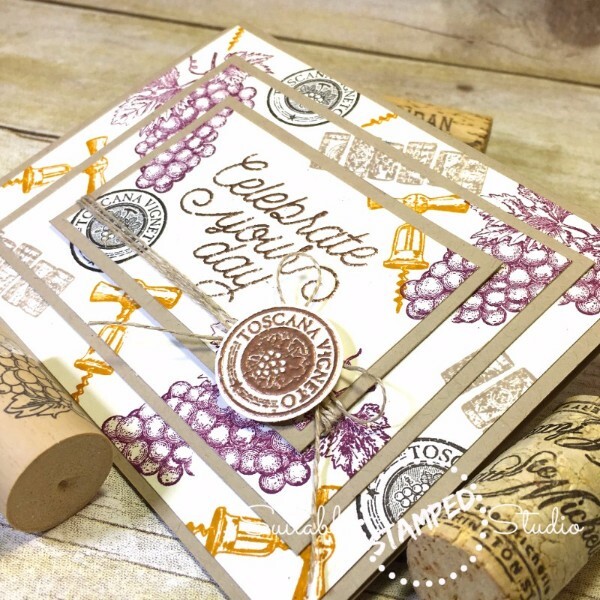 The card I'm sharing with you today is a "Triple Time Stamping" design and I think the images I chose from the set are just perfect for this collage stamping design. I also used some of the NEW Copper Embossing Powder. It is simply YUMMY! 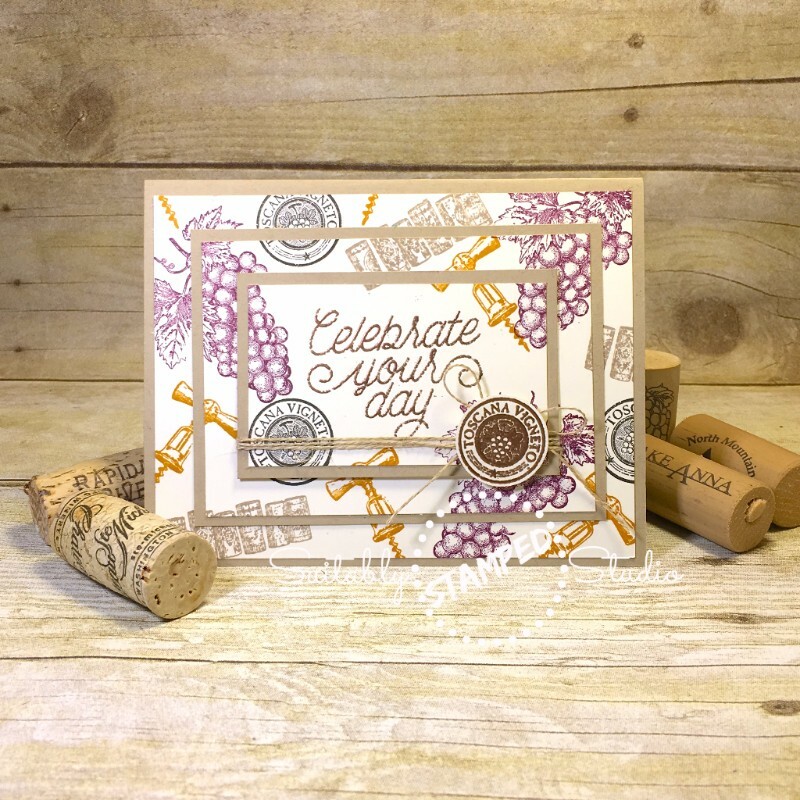 The "Celebrate Your Day" sentiment is from the NEW "Designer Tin of Cards" stamp set. It is a wonderful set for SO many occasions and includes 33 stamps!! WOWZA! Below you'll find all of the products that I used to create this little beauty and you can just click on the item(s) you'd like to add to your shopping cart and you'll be redirected to my Online Store. If you have any glitches getting that to work, remember you can always go there on your own by copying the following link: http://www.stampinup.net/esuite/home/suitablystamped/ and clicking the "Shop Now" tab at the top of the page. Isn't it beautiful?? LOVE it! Okay...I'm off to get my fingers inky. I hope you enjoyed today's project. See you again soon! NEW Catalog - "Pun Intended"